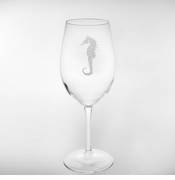 The mysterious Seahorse has long been a symbol of patience, persistence, contentment, strength and good luck. 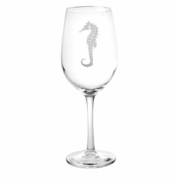 Its quiet grace adds a touch of sincerity and sophistication to any tabletop. 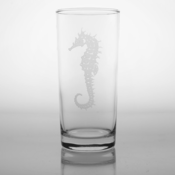 These beautiful, deep sand-etched designs are easy to care for, dishwasher safe, and offered in an extensive variety of glass shapes for you to choose from. 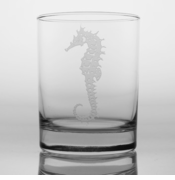 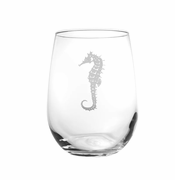 Whether you add a seahorse selection to your home or give it as a thoughtful gift, your family, guests and friends will be charmed.